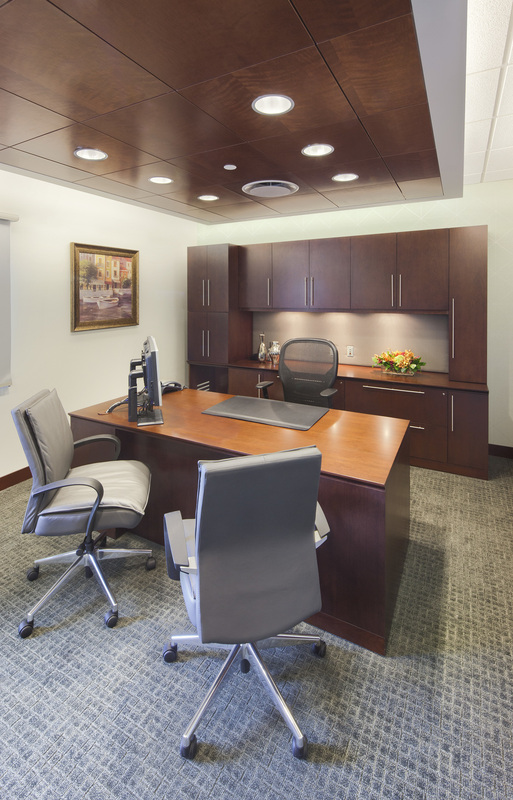 As part of the development of Parkers new master plan, the Executive Offices, Admissions and Human Resources Departments were re-designed. Formerly disparate departments were re-organized to create more efficient departments, additional conference rooms and other support areas. The board room was designed for maximum flexibility and functions for meetings, seminars and other events. The interior finishes, textures, colors and multiple lighting sources convey a level of sophistication and attention to detail - all of which support Parker’s mission of providing culturally enriched environments for their residents, as well as their staff. A central corridor and strategically placed water feature act as a primary transition from the main lobby entry to all of the new departments. 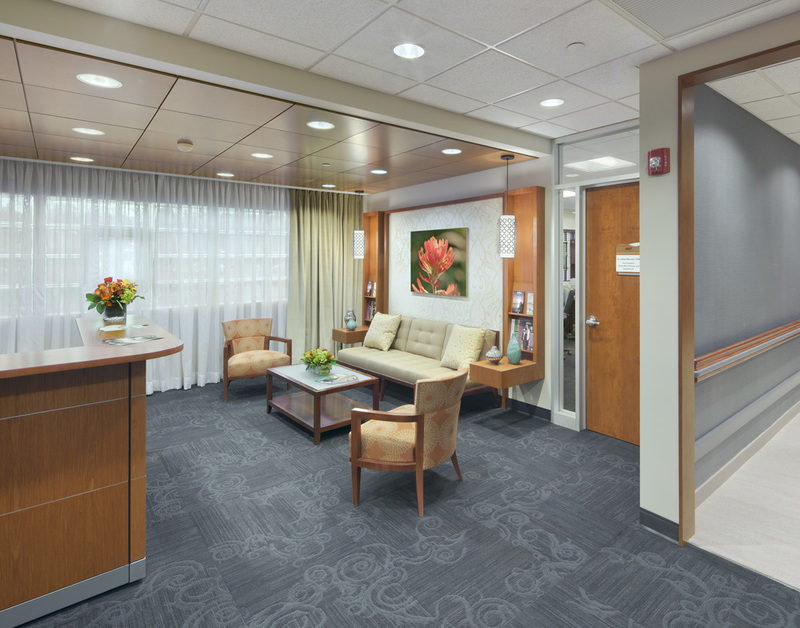 Clearly defined floor and ceiling details work together to create an inherent way-finding system. Direct and indirect lighting enhance wood wall details, a convenient seating area and help guide the eye through the space.